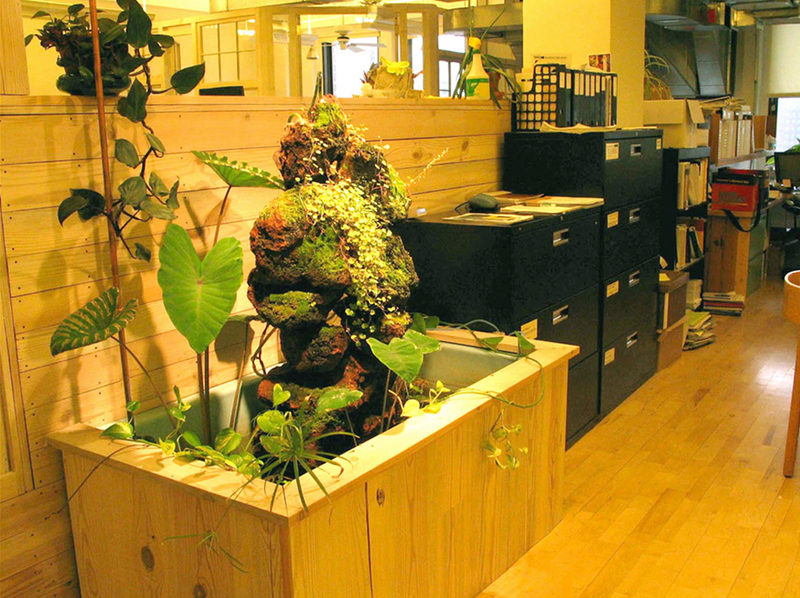 Biosculptures™ are living sculptures that use the capacity of carefully chosen plants to clean and filter water. 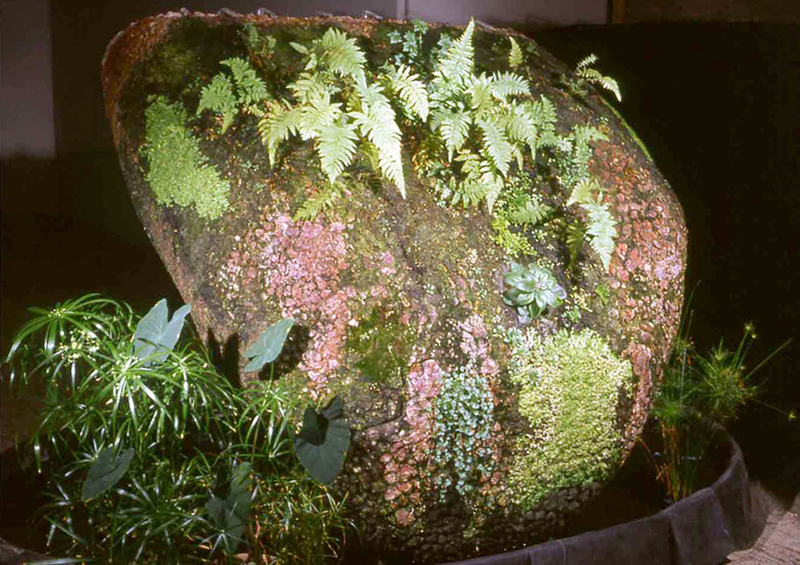 Made of mosses, ferns and other plants growing on stone and concrete structures, they provide ecological and aesthetic solutions to water quality and water quantity problems. Biosculptures™ are biogeochemical filters that work as parts of natural water treatment systems, and demonstrate how there is no waste in healthy natural systems. Rather, the “waste” of one organism becomes food for another. 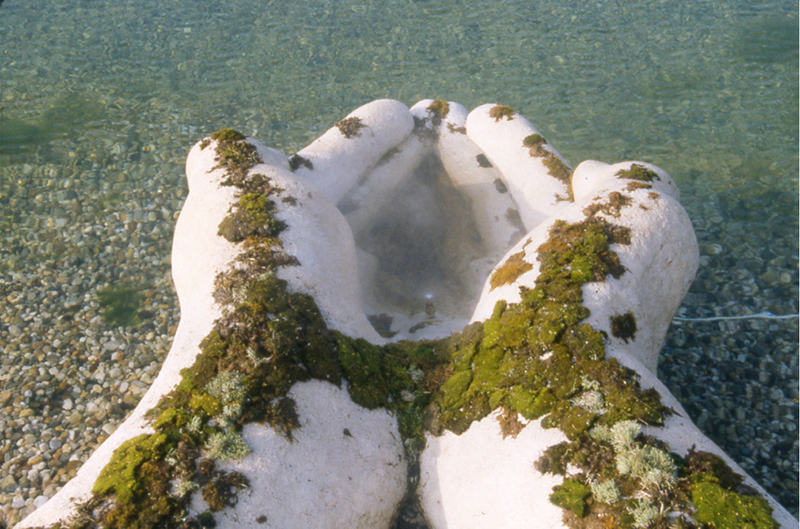 As water flows over the sculptures, the plants and associated bacteria transform pollutants and toxins into life sustaining nutrients. Fish, snails, and other aquatic organisms live in the water and enrich these sculpted ecosystems. 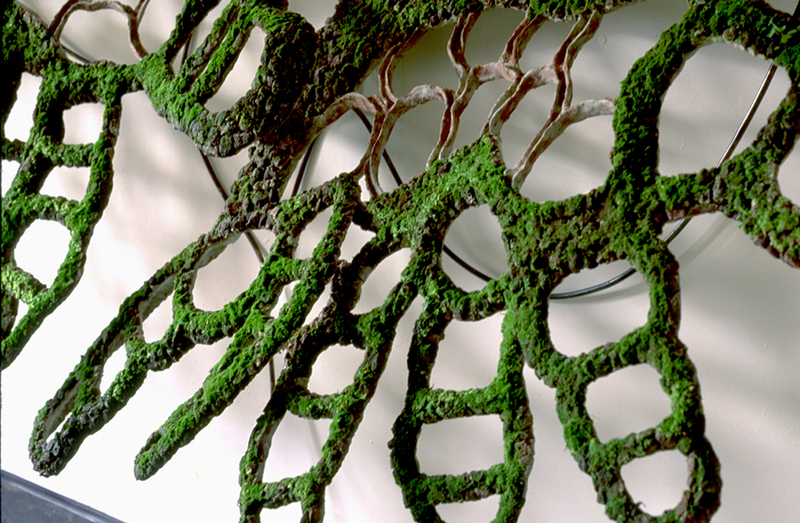 These vegetated sculptures are intended to seed a sense of connection to worlds beyond the human and to encourage understanding that is it possible to sustain human life in ways that benefit natural systems, rather than degrade them. In these projects art is a visible catalyst to foster sustainable watershed practices through community participation, environmental education, and ecological restoration.